Paolo Di Canio's idiosyncratic approach to man-management ended badly. Sunderland sacked the ebullient Mussolini fan after one too many arguments with his increasingly-disgruntled players. It might not have been quite the same as hanging him from a lamp-post, but Di Canio's Premier League reign came to an ignominious end. 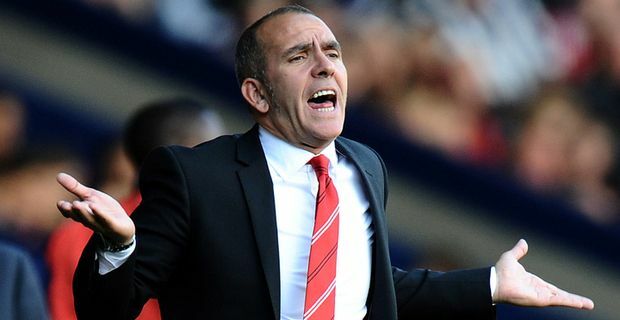 After losing 3-0 to West Bromwich Albion, meaning Sunderland had only one point from their first five league matches, the volatile Di Canio called a rally, sorry, a meeting, at the training ground. He launched into a rant about the players' attitude but wasn't allowed to get away with it. It was a plucky Brit who led resistance against the fascist sympathiser. Lee Cattermole, a North-East-born combative midfielder had been stripped of the captaincy by Di Canio and told to bow to the Italian's authority. Instead Cattermole responded forcefully as the players' leader telling the manager that the squad had no confidence in his methods. Once Ellis Short, Sunderland's owner, heard of the row, it was clear that Di Canio's stint as boss was over. It had begun in controversy with some fans objecting to the appointment. Former foreign secretary David Miliband resigned as vice-chairman of the club "in the light of the new manager's past political statements". The Durham Miners' Association also withdrew its banner from the ground in disgust at Di Canio's fascist tendencies. The last six months have been an inglorious episode in a proud club history. Di Canio's authoritarian ways briefly seemed to be getting results at the tail end of last season, but his dictatorial methods and strict disciplinary system have not been accepted by the players this season. Ironically the favourite to succeed him is another Italian, the rather more amiable Roberto Di Matteo. His managerial CV already includes the Champions League and FA Cup although the silverware couldn't save him from the sack at Chelsea.